DISCOVER SOMETHING NEW WITH THIS LIMITED-TIME DISCOUNT ON BOOK ONE OF THE SERIES. The first in the Oathsworn series, charting the adventures of a band of Vikings on the chase for the secret hoard of Attila the Hun. In time with the magnificent British Museum Viking exhibition, comes the Oathsworn series, called ‘enthralling’ by fiction legend Bernard Cornwell, and known for its blockbuster battles and powerful suspense. Life is savage aboard a Viking raider. Young Orm Rurikson is plucked from the snows of Norway to join his estranged father on the Fjord Elk, and becomes a member of the notorious crew – the Oathsworn. Hired as relic-hunters by the merchant rulers, and sent in search of a legendary sword of untold value to the new religion – their mission is treacherous. With only a young girl as guide, their quest will lead them on to the deep waters of the 'whale road', toward the cursed treasure of Attila the Hun. And to a challenge that will test the very bond that holds them together. Not a bad read but Cornwell still wears the crown.!!!!!!!!!!!!!!!!!!!!!!!!?!!!!!!!!!!!!!!!!!!!!!!!!!! 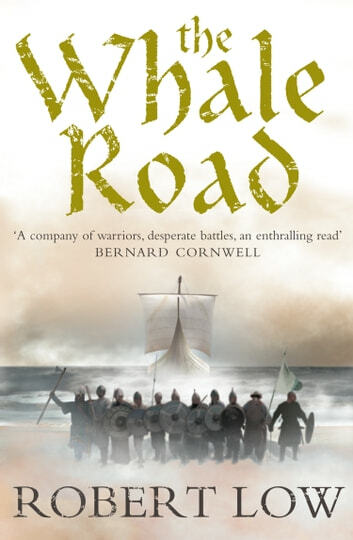 Set in a fascinating time following a band of Vikings set in Scandinavia and all the way down to Kievan Rus and Khazaria. A great window on what it may have bee like at the time. Great fun to read if you enjoy the action and fantasy of a gritty Nordic adventure..try it on for size. Well written and steeped with interesting historical info. 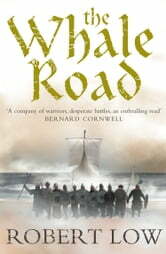 I read this book with both fascination for the good research that went into it, and how the author made the "Viking ways" come to life, but then he is not the best storyteller in terms of character-development, plotlines and readability. I often got confused and the pacing could have been better. So all in all, I think the author is a good researcher and can revive an ancient world -- but it was not enough for me to find the storytelling convincing and exciting.